A sleep aid for children may seem like an unusual idea, but recent findings show that the number of children reporting problems sleeping is growing steadily. In fact, up to 25% of all infants, children and teens have some sort of sleep related problem. And as with adults, those sleep problems can have a serious effect on their overall health. In general, infants need between 14 and 15 hours of sleep a day. The amount of sleep needed decreases somewhat as children age, getting down to about 8.25 hours of sleep necessary for teenagers. When children don't get enough sleep it can cause an inability to concentrate and behavioral issues. Many times these reactions are misdiagnosed as ADHD or other behavioral conditions, which can then lead to improper medication. Sleep difficulties in children can manifest in many ways from nightmares and night terrors to sleep walking to restless sleep or a refusal to go to bed. There can be many causes for insomnia in children, as with adults, which can include excess stress, a poor diet or just poor sleep related habits. While it may be tempting to simply reach for a sleep aid for children when these problems occur, this is not always the answer. 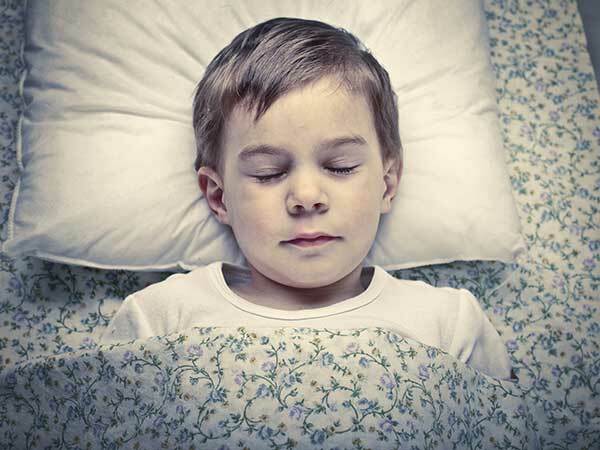 Although sleep disorders in children may share many similarities with those in adults, they are not exactly the same and using adult sleep aids for children can have serious side effects. In fact, most adult sleep aids carry specific warnings against using them in children and you should never consider doing so without first consulting your child's doctor. In most cases, sleep issues in children can best be treated by using a combination of behavioral and relaxation techniques as well as good sleep hygiene. Setting a regular bedtime routine is extremely important for children as this allows them to get their bodies prepared for rest. It can be something as simple as rocking them and singing a lullaby before you lay them down for the night or tucking their favorite stuffed animal in with them. While that may not sound like much of a sleep aid for children, having that routine can often be all they really need to ease their sleep problems. It is also important, particularly for older children, that you limit what they eat, particularly caffeinated food and beverages, and any stimulating activities in the immediate period before they go to bed. This means shutting down the TV or any other electronic equipment as staring at a lighted screen can actually stimulate brain activity, which is exactly the opposite effect that you want when you are focusing on bedtime. While medication can be helpful in some instances, for children it should always be considered the last resort. A sleep aid for children should come in the form of listening to gentle music, flipping on a night light, or reading a story before closing their eyes rather than relying on a medication to do the job. If you absolutely must use some form of sleep aid, be sure to only use it for a limited time before gently weaning your child off of it before it can become addictive. Remember that getting a good night's sleep is as important to your child's health as eating right and exercising. If something is preventing your child from getting the proper rest don't brush it aside; look into it, talk to your doctor, and see if you can't figure out a natural, healthy way to get your child the rest he or she needs.